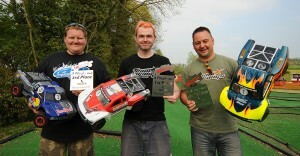 Coverage from RC Short Course events as well as 1:1 Short Course events. RCSC coverage from the 2011 RCX Show in Pomona CA. If your not able to make it to RCX this year you can watch our live video coverage on our live page. We will be updating this coverage page throughout the day on Saturday and Sunday with pictures and videos of new products at the show. RCSC will be broadcasting live from the TGN booth both days, big thanks to Mark at TGN for allowing us to share his booth so we can bring you live coverage. Watch the 1/1o scale and 1/5 scale off road SCT racing at NorCal Hobbies today here on RCSC. Races start at 10:30 am PST. Watch the 1/1o scale and 1/5 scale off road SCT racing at NorCal Hobbies today here on RCSC. Races start at 10:45 am PST. 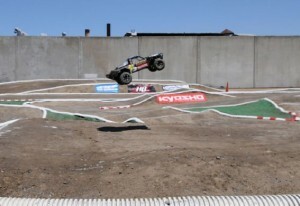 Watch the off road SCT racing at NorCal Hobbies on their new 1/10 scale track today here on RCSC. Races start at 11 am PST. Watch the Short Course racing at MHOR R/C live tonight here on RCSC. The live feed should be up by 4pm CST to watch the practice session then races start at 7pm CST. Watch the off road SCT racing at NorCal Hobbies today here on RCSC. Races start at 12 noon am PST. 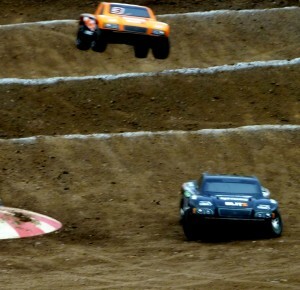 Watch the off road SCT racing at NorCal Hobbies today here on RCSC. Races start at 10:30 am PST. 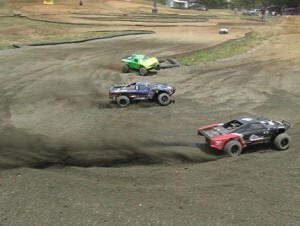 Watch the off road SCT racing at NorCal Hobbies today here on RCSC. Races start at 10:50 am PST. Watch live here on RCSC the last race of the 5th scale series at Thunder Valley tomorrow. Races start at 10 am PST. Ted and I are on our way up to Thunder Valley right now, I will be testing the connection when we arrive and will broadcast the practice sessions today. Rounds 3 & 4 of the 2009 Lucas Oil Off Road Racing Series. Featuring Carl Renezeder, Robert “Fig” Naughton, Jerry Whelchel and more. Shot and edited by Steve Naughton.